KIEV, April 15. /TASS/. Fourteen churches have been seized in Ukraine’s Rovno Region, and 60 dioceses have been eliminated due to the establishment of a new religious organization, the so-called Orthodox Church of Ukraine, a representative of the Ukrainian Orthodox Church (the canonical church belonging to the Moscow Patriarchate) Bishop Dubensky Pimen stated during a press conference in the city of Rovno. “In the past two weeks, over 60 dioceses of the newly established Orthodox Church of Ukraine have been registered with the use of the data of the Ukrainian Orthodox Church’s religious communities, that is, over 60 dioceses belonging to the Ukrainian Orthodox Church have been eliminated by force. Fourteen churches have been seized,” the bishop said. The representative of the Ukrainian Orthodox Church stressed that local officials are supporting the seizure of churches. “The people who must monitor the implementation of the country’s laws blatantly violate them instead and incite not just hatred, but a religious war, which leads to destabilization of the difficult situation in Ukraine,” the bishop stated. Since the February 2014 coup, Kiev has sought to create an independent church in Ukraine that would sever ties with the canonical Ukrainian Orthodox Church. In April 2018, Ukrainian President Pyotr Poroshenko wrote a personal letter to Ecumenical Patriarch Bartholomew of Constantinople asking for autocephaly for the Ukrainian church. On December 15, Kiev hosted the so-called ‘unification’ council held under the supervision of the Ecumenical Patriarchate of Constantinople and brokered by the Ukrainian authorities. The canonical Ukrainian Orthodox Church refused to take part in the event, stressing that both the ‘unification council’ and Poroshenko’s newly founded ecclesiastical establishment were illegitimate. Nevertheless, after the council, the Ukrainian president announced the establishment of this new church in the country – the so-called Orthodox Church of Ukraine. Hey Buddy!, I found this information for you: "Fourteen churches seized in Ukraine’s Rovno region". 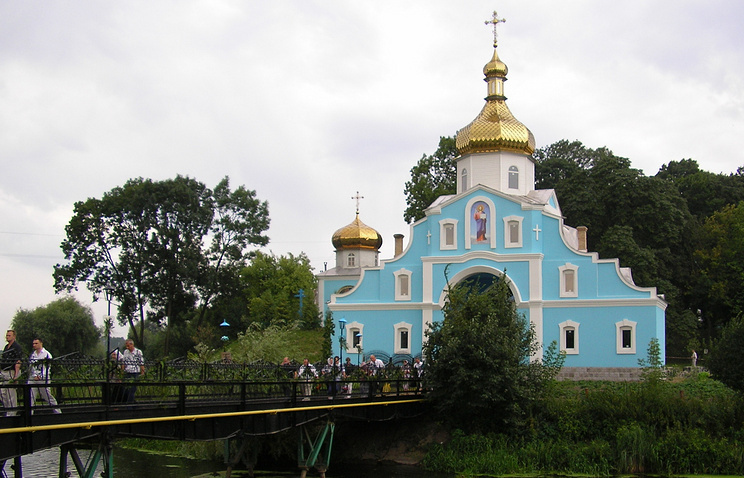 Here is the website link: https://russophile.org/fourteen-churches-seized-in-ukraines-rovno-region/. Thank you.